Born in Belgrade in 1948. Graduated with a degree in Composition at the Music Academy in Belgrade, where she also studied Violin. Pursued Advanced Studies of Music at the Institute de Recherche et Coordination Acoustique/Musique (IRCAM) in Paris 1979-1981, on a scholarship funded by the French Government. Her compositions have been performed for the public since 1966. In 1968, she became an Associate at Radio Television Belgrade, writing and presenting music programmes. In 1975, she was hired as Music Editor of the Radio Belgrade Drama Department. 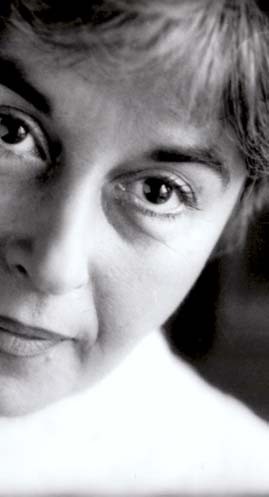 In 1985, she becomes the first editor of the Radionica zvuka (Sound Workshop) programme. In 1989, she becomes Music Editor in Chief of Radio Belgrade One. She resigns from this position in 1991. From 1992 to1995, she teaches Applied Music at the Music Academy in Belgrade. In 2000 and 2001, she lectures at the Centre for Women’s Studies in Belgrade. She lives in Damascus, Syria, between 1995-1999, Ankara, Turkey, between 2001-2005, and Bucharest, Romania, 2009-2013. In 2001, she becomes Director of Culture Projects at the Centre for Democracy Foundation in Belgrade. From 2001 to 2006, she acts as Artistic Director of the Bemus Music Festival. In 2007 and 2008, she serves as State Secretary for Culture in the Ministry of Culture of the Republic of Serbia. Ivana Stefanovic's pieces have been performed in France, Denmark, Finland, England, Austria, the Netherlands, Croatia, Slovenia, Italy, Germany, Spain, Israel, Australia, Syria, Kazakhstan and others, as well as at various festivals, including Gaudeamus, Bemus, Zagreb Biennale, Helsinki Biennale, Yugoslav Composers' Tribune, Composers' Tribune in Pula, Bitef, Wings of Sound, RomaEuropa, Madrid – World Cultural Capital, Prix Italia, Music Harvest, International New Music Week Bucharest, International Society for Contemporary Music (ISCM) and others. Ivana Stefanovic is also involved in fringe music areas and composes for the theatre. She has composed music for more than forty theatre plays in Belgrade as well as in Osijek, Celje, Novi Sad, Budva etc. She published a book of proposed entitled The Road to Damascus (published by Geopoetika 2001), compilation of essays Music Made of Anything (published by Arhipelag 2009) and book A private story - based on a suitcase full of letters (published by Službeni glasnik and Arhiv Srbije 2012). Ivana Stefanovic writes about music and culture. Her articles have been published in numerous newspapers and magazines. A member of the Composers' Association of Serbia and the Serbian Literary Society.